you may have noticed that i recently snuck a little image in at the top of my sidebar. has it piqued your curiosity yet? 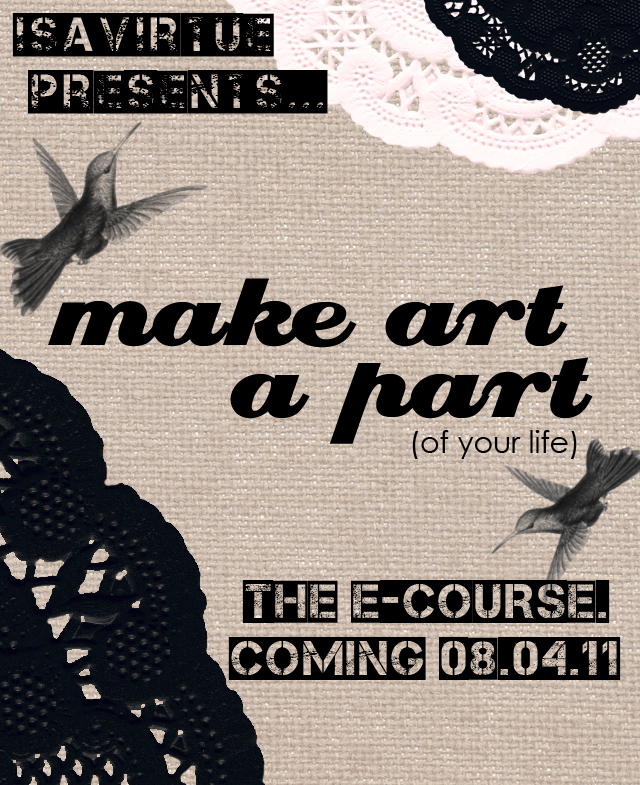 i am very excited to announce that i am writing an e-course about the different ways in which you can make art a part of your life. i'll post more details in a couple weeks but you can look forward to a launch of the course on august fourth. yay! So glad you're going through with it!! :D lovely little button too!